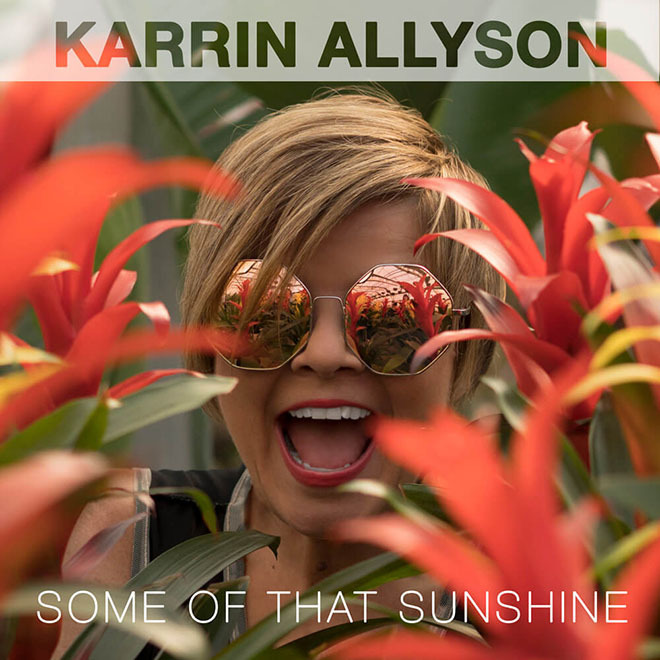 The diverse, groovy and reflective collection of Karrin Allyson’s all-original recording, Some of that Sunshine, ranges from the first single “Shake it Up” and its fun, unexpected hipster vibe, to the compelling title track (“Some of That Sunshine,” co-written with Chris Caswell) which has the feel of a Hollywood classic. She lives in New York City, following a childhood in the midwest, schooling in the Bay area, a degree in classical piano performance and important stints in Minneapolis and Kansas City, where she began her recording career with Concord Jazz. Known to spend two out of three days on tour, she has played the major jazz festivals, concert venues and clubs of the U.S. and made repeated tours overseas—to Brazil, Japan, Australia and the great cities of Europe. Among musicians, Allyson is known as a great bandleader and one of the deep pleasures of the current scene is listening to her highly developed interplay with bandmates. It sounds so effortless, but it conceals a deep musical sophistication. It’s one of her great achievements—the result of working over the years with an ensemble of fearless and powerfully committed, skilled jazz musicians. 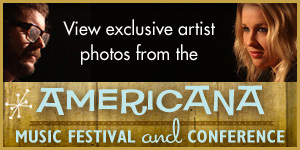 Having developed a unique relationship with the multi-talented L.A. composer Chris Caswell, the two have collaborated for over ten years as composers and performers in a very spirited ensemble featuring Caswell on Hammond B3 organ. But writing her own songs has allowed her to deliver this amazing album that she is so proud of. She’s not just singing a lyric, she’s telling you her story. And then that becomes your story. You hear the music from the inside out. 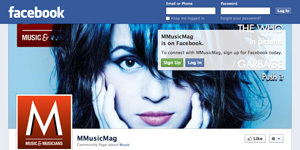 We are thrilled to offer the Exclusive Song Premiere of “Nobody Said Love Was Easy” on Mmusicmag.com. 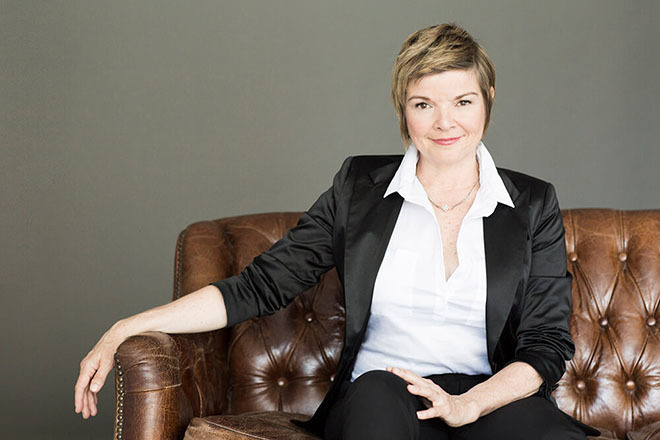 We spoke with Karrin Allyson about the making of this new album, as well as some of the influences that have helped define her storied career, what continues to inspire her music and how she remains hopeful. How did the new album, Some of that Sunshine, evolve? I have been writing on and off since I was a kid. I’ve recorded a few originals randomly on my recordings (“Sweet Home Cookin’ Man,” lyrics to Samba ’88, and several originals on my Holiday CD Yuletide Hideaway. Since meeting Chris Caswell a while back, it’s escalated—so wonderful to have an experienced, open and fun collaborator. What inspired the infectious groovy anthem “Shake It Up”? I love a good groove. I think the lyrics “gonna have to shake it up” came simultaneously with the melody and the groove. I was hoping to have a fun way to approach frustration and the need for change. In these unique socio-political times, how do you remain hopeful? It’s difficult for us all. I am a nature girl, so getting outside is very important for me, being active—Pilates. Family, friends, good food, sense of humor—a must. But it sure can get you down. Also, being involvedin causes that matter to me—really helps. We cannot just sit back and hope for things to go a different way if we’re not doing anything about it—even in small ways. What inspired you to record an album of all-original music? I’ve wanted to put out an all-original project for a while now. I thought about doing it before my recent Many a New Dayproject. I almost did another covers CD this time, but asked myself ‘what am I waiting for?’ Those things will always be there. I get a whole lot of positive response with these songs live—from fans. That helps me. Tell us about one particular song that you are especially glad made it onto this album. At this moment, it would be my song “Home.” And “You Don’t Care.” Both my parents (my whole family) have been very supportive. My Mom was my first piano teacher, my Dad wrote the lyrics to “You Don’t Care,” and he really loved country music. So I wrote it in that style. You’ve covered music from many genres and all parts of the world, how did that influence this album? I guess it’s all of who you are and experienced in your life that influences your music. I love different languages and cultures. Not sure how or if that comes through on this project, but I definitely plan to do another project of international songs in the near future. Chris Caswell, my family, some friends and fans. Bill McGlaughlin. Also, just living, coping, loving, looking back, looking ahead—all of these things inspire me. My Mom, Bill McGlaughlin (my partner), Rod Fleeman (my guitarist of many years) is very inspiring to me, Bob Bowman—bassist I started with many years ago, Danny Embrey—another wonderful Kansas City guitarist. I love Joni Mitchell, Carmen McRae, Nancy King, Aretha Franklin, Earth Wind & Fire, Lambert Hendricks & Ross. Sin & Soul (1960) – Oscar Brown Jr.
Music is the paramount thing—that and connecting with people (including your players) in trying to tell a story in your own way. 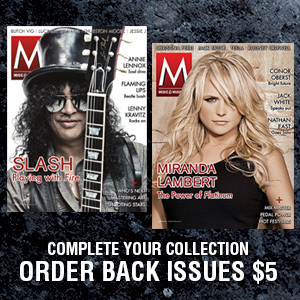 What advice would you give upcoming musicians? Try not to let the business get you down. Believe in yourself. Persevere. And, take a walk. This new CD coming out on August 3 is very important to me. I will continue to write, and work with Chris Caswell. I hope I’m never up-and-coming. The motivation must be the music—and telling your own story. I don’t wish for pop stardom, I just wish for my songs to get out there. I have an amazing webmistress and dear friend, Mary O’Keefe, who helps keep me in touch with my fans—couldn’t do it without her.